Weddings are fairy tale affairs. They tie the knot between two hearts and make way for a “on the cloud nine” eternity. A big-bang celebration requires something unheard of, huge and out-of-the-ordinary. 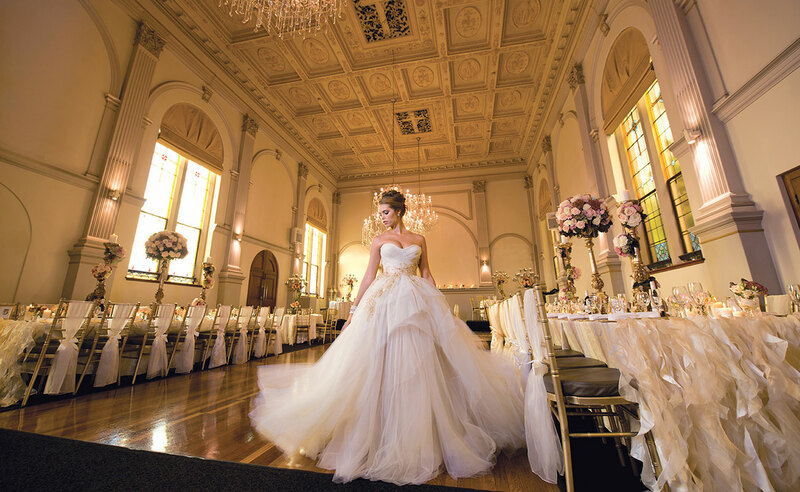 So, when you start off living your fairytale, why not start with a phenomenal venue? And if you are planning a wedding in Canada, here is how out-of-the-box you can get. A non-profit urban development organization which holds a number of unique event venues located all over Toronto, this is definitely the most unusual venue for a wedding. Located on the serene shores of the Toronto Islands, a 10-minute ferry ride from downtown Toronto gets you to this amazing point with 5 event spaces and accommodating about 2000 guests altogether. The Fireplace Room and the Beacon Room are both elaborate options to hold an indoor event, while still being surrounded by the lush flora of the property. The West and South lawns hold the best locus for all outdoor music events. The beach, giving you some of the most exciting views of Lake Ontario, is serene and secluded. Toronto’s premier lounge, gallery venue and screening room, CAMERA is adorned with exquisite artwork. The remainder of the space being narrow and raw allows you enough creative freedom. You can accommodate 110 for a cocktail reception and 30 for a seated dinner. A 50 feet screening room forms the most unique feature of the venue. CAMERA even accommodates wheelchair access and has space for onsite ceremonies. In 1995, when Sonja Bata ran out of space for her treasured private shoe collection, the Bata Shoe Museum located at the Bloor and St. George was opened to the public. The museum is home to 12,500 different pairs of shoes from different time periods. No doubt it makes a happening yet amazing venue. The guests are welcomed by a light-filled atrium that features a four-storey high glass art window. The two intimate studio spaces hold space for the smaller functions. The main atrium can be used for larger events and better guest accommodation. Featuring a grand main room and a huge outdoor patio overlooking the Lake Ontario sits the Argo Rowing Club. Make sure lounge chairs are in your list, together with a few tables to fill up all empty spaces. The place is so organized and workable it can become for anyone’s favorite wedding venue in Toronto. The Steam Whistle Brewery, though, turns the tables and takes the guests straight to the source. This fully functioning brewery is located at the John St. Roundhouse, producing some of the finest beer Ontario has to offer. Steam Whistle brewery has two event spaces, accommodating groups from 30 to 750 people. The Hall is a light filled event space with historic characters abound and expansive windows. The Gallery is a smaller space featuring a 60-foot bar, state of the art sound systems and rotating art displays. The brewery is perfect for big weddings or corporate events. Have you discovered some more venues? Can you think of something even better than any of this? Let us know.